John S Green - Remember Me - May 8 John won a Jeff Award for Of Mice and Men, was nominated Best Actor Denver. His play, The Liquid Moon, won the Jeff Award & was nominated for a Pulitzer. The Me Zone recently won the Literary Complex Prose Award. Ron Falzone - Panelist May 10 and Presenter May 11 -Across the Media Universe - adapting scripts to new Media is an award-winning screenwriter and associate professor in Cinema and Television Arts at Columbia College Chicago and an instructor at the Harold Ramis Film School at Second City. His films have screened at major festivals worldwide including Chicago, Los Angeles, New York, Montreal and Cannes. I am excited that Scripted Toronto is giving me the first opportunity to present work from our upcoming animated feature, Coriander and Penny’s Worth of Lonesome. Deborah Kimmett - Panelist May 10 - Deborah is a 30 year veteran of the Second City and appears regularly on the Winnipeg Comedy Festival, and CBC’s The Debaters. She is the author of two non fiction books(Reality is Over-Rated and That Which Doesn't Kill You Makes You Funnier), as well as one novel (Outrunning Crazy). Her plays have been produced for in Canada and the U.S. Her play Miracle Mother was a finalist for the Governor General Award. She teaches one day writing retreats, and her stand up show Downward Facing Broad comedy special, will air on CBC radio on May 20th. Jeffrey Sweet - Panelist May 10 and Writer- Bends - May 12- has written lots of television and two dozen plays, winning a batch of awards -- Jeff, Outer Critics Circle, Audelco, Best Plays, the WGA. Stars who have appeared in his stuff include Nathan Lane, Jon Cryer, Helen Hunt, Jack Klugman, Ed Asner, William Petersen, Ellen Burstyn and Candace Bergen. Very pleased to be working with old friends on the first of what I hope will be an annual celebration of new writing. Hugh A.D. Spencer - The Triage Conference May 12 – Hugh has written for On Spec, Interzone and Descant magazines as well as Shoestring Radio Theater on NPR His books include Extreme Dentistry (2014) and Why I Hunt Flying Saucers and Other Fantasticals (2106). Hugh was twice nominated for the Aurora Award and curated the National Library of Canada’s SF exhibition. Last year he published the article “Social Justice from the Twilight Zone: Rod Serling as Activist”. “There aren’t many venues to perform any kind of radio drama – let along works that push past nostalgia and explore the outer limits of content and form. I’m incredibly grateful that Scripted Toronto is taking this risk with my play. Chadwick Gendron - The Age of Podcasts May 11 -Chadwick is a screenwriter, humourist and pop culture expert (at least that’s what his bio says). He has been a co-host of the Nerdstalking podcast for 4 years and has dabbled in all aspects of the creation, production and promotion within the medium. He will be joined by his Nerdstalking co-host William Hunter for the Q&A portion of the seminar. Kristine Niven- Writer- Devils Sticks- May 12- Kristine is an actor/improviser/writer/director based in NYC. She is Artistic Co-Director Emerita of ANDTheatre Company (aka Artistic New Directions) which she co-founded. She has written numerous short plays as well as four one-acts presented in the Without-a-Net series, AND’s marriage of script and improv . She is a member of AND’s improv/acting team, The ANDSemble, and acts and improvises around NYC. Kristine is honored to be part of this magical, inaugural Scripted Toronto Festival. Thank you Deborah and Michael!!! Wyatt Lamoureux -- They Fight - May 15- Wyatt is excited to be a part of Scripted Toronto, this grand celebration of the written word, and welcomes the opportunity to showcase his stories in Toronto. They Fight! features the talented performance combat of Bailey Green and Erick Fournier. It’s a triple-play in the GTA year for Wyatt, with plays also at InspiraTO in June, and Newmarket New Play Festival in July. Previous productions have been in Toronto (2017) and Nanaimo Fringe festivals, Newmarket (2017, 2018), and Peterborough. He’s an ACTRA member, director, and novice film maker with a short in post-production. 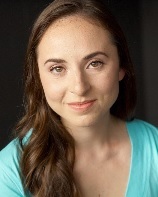 E. Saffron LaRochelle - Willing and Abel- May 15 - is a playwright and actor based in Toronto/Tkaronto, whose work tends to feature grim themes and touches of camp. Being a queer and mixed person in theatre, her goal is to contribute to a theatre world and community that is welcoming and supportive of marginalized creators and not exploitative of them. Playwriting credits include THROUGH TEETH/PARTY ANIMAL (Emerging Writers Reading Series), PUNCH DRUNK (Playground Festival of New Work), and LONDON FOG (ACTOne Play Festival). As a performer, she most recently appeared in Mortar & Pestle Production’s Rope by Patrick Hamilton and will be appearing in Bard in the Park’s staging of As You Like It this summer. She is very excited to be staging this play with Process Theatre/Scripted Toronto and hopes that everyone feels better soon." Deborah Smith - Vic Shaw - May 16 - Deborah is a chief cook and bottle washer, always has been. She can tell a story to a child on one hip while cooking dinner, putting out the laundry and thinking up her next plan…must be the Irish in her. She earned her BA in English Literature at Concordia University and began her creative writing there while studying when Margaret Atwood would walk by and Leonard Cohen was flogging his poetry. She has written articles, copy, poetry, news, plays and adaptations. Her newest play “Vic Shaw” is a about a fallen woman. But then again, how can woman ever fall? From what? Only societies archaic rules and laws that have caged women in the first place. No more cages, ever. I am thrilled about this Festival, its been a long time coming. And I hope that Toronto is excited about a whole new batch of brave new writers. RL Read,- Uisge-Beatha May 16- RL Read- MSc, BMus, LTTA MA (Narrator, Playwright, Director) celebrates 35+ dynamic years as a professional musician/actor /writer; gaining extensive experience in theatre, film & music; locally and internationally. She is a published author/poet with the formal designation of Professional Writing Status in Canada. In 2018, she co-authored Around the World: Travels from Afar, But Close to a Bar. Her forth-coming book, Wreckless Carma: Steering a Journey through Vehicular Foibles and Maladies will be published in 2020. She is Grand Prize Judge, The Word Guild Awards, 2019, and former National Awards Chair, Canadian Author’s Association. RL is thrilled to debut her radio-play, Uisge-Beatha with Scripted Toronto. She feels privileged to work with superstars Deb and Michael of Process Theatre, and her cast of Canadian music celebrities; the ever-fabulous Gail Selkirk, and uber-talented Blaine Selkirk. Slainte Mhath with Writer’s Tears of Joy! Carly Fawcett- “Starfucker” - May 16- Carly graduated from the Neighborhood Playhouse School of Theatre in New York City. Continuing to pursue her career as an actress in Toronto, she has worked on projects such as Jerusalem’s Canadian premier alongside Kim Coates and Mitchell Cushman at the Streetcar Crowsnest theatre in Toronto, and as lead actress in ‘Only People,’ winner of best feature in Canada’s Independent film festival, 2019. Current projects include writing, developing and acting in her first one woman show, scheduled to debut in parts at Scripted Toronto 2019 and shooting The Color Rose film in her home town, Kelowna B.C. This is the first time she will be showcasing her works to the public, and she is beyond excited to do so! Pam Masey- “Happy Cells”- May 16- A perpetual student of creativity, Pamela has worked in film and tv, and has done various live stage venues. A survivor of cancer using holistic modalities instead of chemotherapy or radiation, Pamela will be unveiling her debut solo show, Happy Cells. “I'm excited for the opportunity to put Happy Cells out there in public for the first time and see how it lands. What a fantastic and generous idea to launch a festival for people such as myself, who are eager to bring our work to life and at the same time receive feedback – thank you, SCRIPTED! Stephanie Herrera-- “Am I Pretty Now” May 17- Stephanie was a TheatreSports main-stage performer and cast member of Second City's "Tony 'N Tina's Wedding” in Toronto, she is the founder of Durham Improv Collective Inc., co-host of the weekly podcast "Eileen & Steph: Everything's fine", and is the author of "The Ten Commandments...of Improvising!" "I'm delighted to get the chance to unveil the third version of my autobiographical musical! Getting to share the stage with such icons is an absolute honour and I know I will learn and be inspired at Scripted Toronto!" Pierpaolo Buzza writer- “When Time Stands Still” May 18 - Pierpaolo is an Italian author, director, improviser, now based in Belgium and the artistic director of @ImproBrussels. “I spend my time with stories, and I think every truthful story is somehow autobiographical. John Eric Ladd - Marriage May 18 - Eric is a half century old ACTRA actor that is quite happy to finally putting thoughts down on paper for others to perform. He roots a great deal of his artistic expression in visual art, but is eager to get better at invoking emotion with word and stories. Eric wants to thank all of those people supporting him and pushing him toward writing. Rebecca is a Toronto-based writer, actor and director. She studied Playwriting at the University of Toronto, and was recently a member of Expect Theatre’s Playwriting Unit. She is thrilled to be able to workshop her new solo show, “Stella”, in such great company! She also can’t wait to welcome this exciting new festival to her home city.